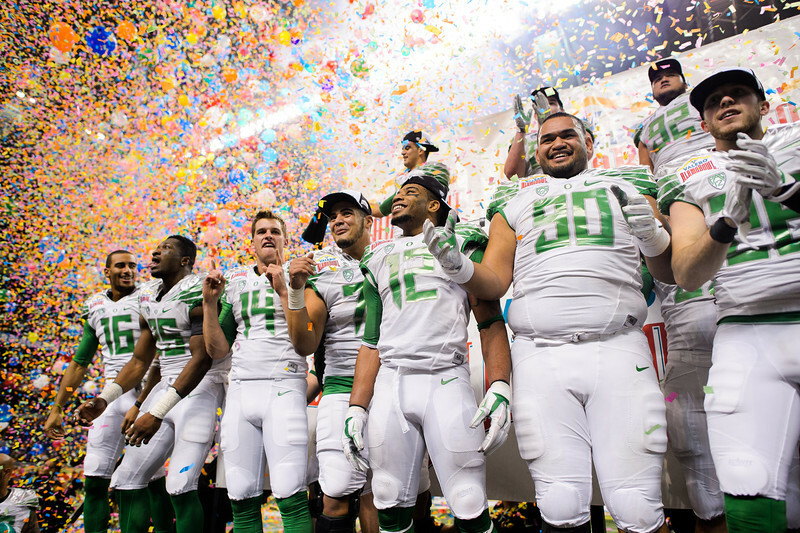 The Ducks celebrate their victory in the 21st Alamo Bowl on the winner's platform. The No. 10 Oregon Ducks play the Texas Longhorns in the Alamo Bowl at the Alamodome in San Antonio, Texas on Dec. 30, 2013.